Smart Details is going to be phased out over the next few months. In its place, we present you Smart Connections, our newest BIM Solution for Revit, that brings additional functionality and more intuitive performance along with a name that more clearly reflects its main purpose. IMPORTANT NOTE for EXISTING USERS of Smart Details! Although you can use the same configurations as you’ve been using with Smart Details, some of them might be disrupted due to changes in the software. Smart Details will still be available for a time so that you can finish your current projects and then modify your configurations for new projects so that they will mesh with Smart Connections. The remainder of this post is dedicated to showing what configurations existing users of Smart Details may need to modify when transitioning to Smart Connections. 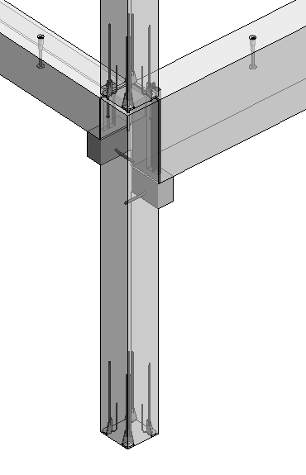 For starters, when making the switch, you might need to modify your wall, column, and beam connection configurations. If my Smart Details configuration was inserting corbels, column shoes, and bolts as shown below... ...the same configuration used with Smart Connections gives me this messy result. That’s because the definition of faces of Columns and Foundation elements has been changed in Smart Connections. But this way it will be clearer and more systematic. So, to fix it, you will have to go in and redo that part of your configurations. Check the descriptions below for details on how to do that. 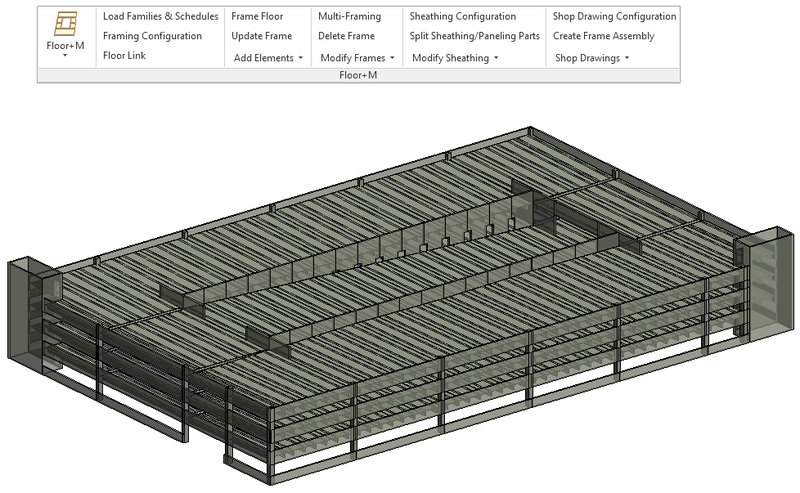 AGACAD’s Wood Framing & Metal Framing software have been enhanced once again. Going forward, opening framing – king studs, trimmers, etc. – can be customized, and you can even create asymmetrical opening configurations. Also, you‘ll have more possibilities in framing walls with intersecting ridge and girder beams, splitting joists, and finally, selecting parts automatically. As you may already know, it‘s been possible to create custom headers, sills, and top supports for some time now. Because of user feedback, we saw that this functionality was really appreciated, and so now we‘ve extended it, making it possible for you to design your own king studs and trimmers! Moreover, by not ticking the “Kings are symmetrical” tick mark, you’ll be able to create asymmetrical framing for your opening. Our company continues the tradition of sharing information not only about our products but also about how to facilitate your everyday tasks in Revit. Below, our structural engineering maestro Valensas shares an insight about equality settings in Revit® dimensions. In working with various clients, I’ve noticed there are some things that for experienced Revit users look simple but for beginners might be very frustrating. Recently I’ve received a couple of questions from different users about how to get an Equality Formula in dimensions when they have several of the same dimensions on a dimension chain. Let’s take a look at the settings we have in Dimension properties. Bobby Stiles, the founder of Florida-based Preconstruction with Stiles LLC, says his BIM modeling and metal stud consulting business got a big boost from AGACAD’s light gauge steel framing solutions for Revit®. Preconstruction with Stiles LLC is a U.S. provider of BIM and as-built data services with special expertise in metal framing. The company works on public infrastructure (hospitals, airports, schools) and large commercial projects (retail, hotels, residential). Thanks to all who attended our webinar on using structural framing elements in modeling precast structures. For those who missed out – or who liked the live webinar so much that they want to see it again! – head on over to our AGACAD Precast Concrete video playlist on YouTube. While there, please subscribe to our channel. Layout of hollow-core, double tee, solid slabs with automated cuts at openings, different slab shapes and slopes. Dividing a single floor into separate floors automatically. 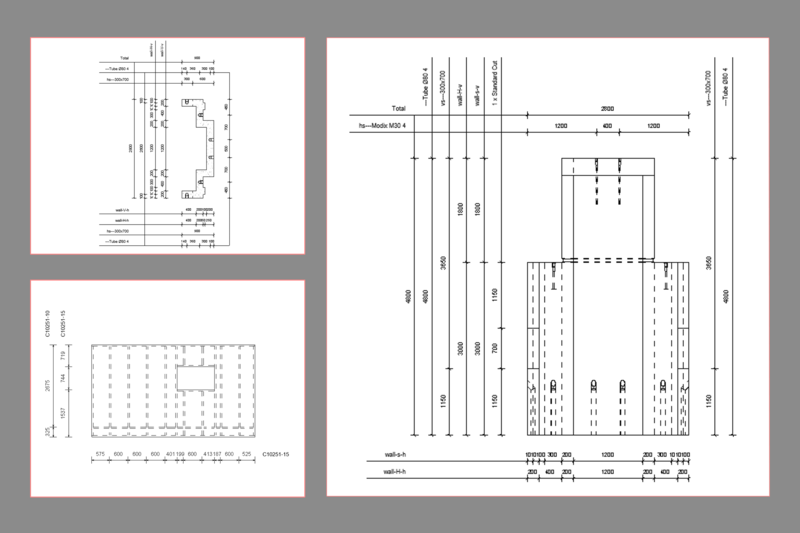 Filigran slabs – creating girders as structural framing elements with predefined rules. Adding connections and cuts to different slabs. Auto-numbering based on selected rules. Our Precast Concrete solution for Revit was just recently updated with new features and performance improvements, including new ways to split walls, add details, and create shop drawings/tickets. But by far the most significant update is that the Metal Framing Floor+ feature has been added to Precast Concrete! We did this especially for clients wanting to create slabs by using Structural Framing families and even apply this to warped double tee slabs for precast parking garages. The whole point of creating BIM models is to reap as much benefit from them as possible. One benefit for structural engineers is that when you create a physical model, you can create an analytical model simultaneously, saving you time later because you can send it straight to structural analysis software instead of creating it from scratch. So, with that in mind, here is one tip about analytical lines for beams. If you want to have a physical beam under another beam but keep the analytical lines at the same level, then use the z-offset in the beam properties instead of moving the beam down.